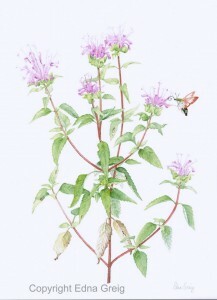 Wild Bergamot is a showy, summer flowering herbaceous perennial that is native to eastern North America. It grows in dry, sunny to lightly shaded areas. 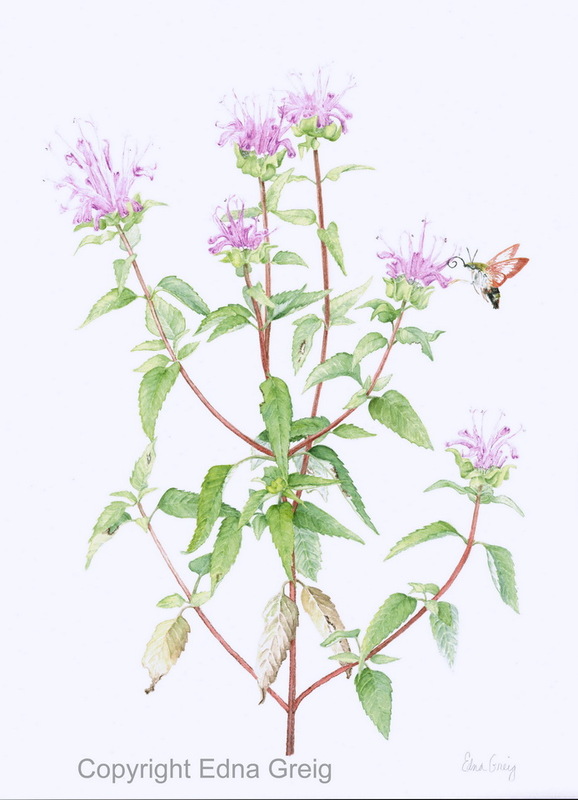 It attracts a myriad of insect pollinators including the Hummingbird Clearwing Moth (Hemaris thysbe) shown in this painting. Wild Bergamot is an excellent low maintenance plant for the home garden that is easily grown from seed. This painting was done using mostly M Graham transparent watercolors on Fabriano Artistico Extra White 140 lb hot press watercolor paper.